Do you feel like you need to get closer to your Instagram target audience? If yes is your answer, you are not alone. 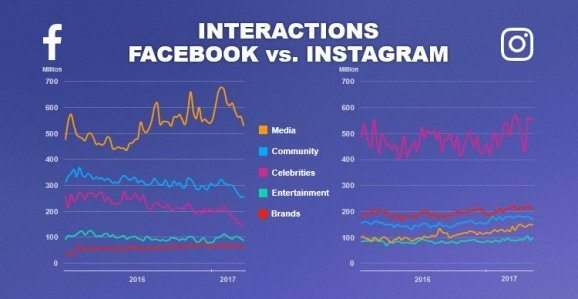 A lot of marketers are struggling when it comes to building their brand identity on Instagram. In 2018, things are both easier and more difficult than ever before. Easier because there is a variety of styles and ways you can explore – and more difficult because the average consumer nowadays knows what he wants – and how he or she wants it. So, attracting your target audience on Instagram is a road paved with bricks. Therefore, it needs a well-planned approach for everything including your visuals, captions and overall brand identity. In order to help you create a unique Instagram profile for your business, we are listing the 12 most important steps. The first thing you need to do when it comes to creating a unique style for your Instagram identity is to know your audience. Simply put, a brand that is targeting millennials and a brand that is targeting people in their mid-50s cannot have the same brand identity. By figuring out what your audience is like, you will also figure out what they are like, what content they like the most and how they can be best approached. This is one of the most important steps in your entire Instagram branding story. Nike is doing a great job at this – posting content that is meant for many age groups and different sports. How do you want your brand to be seen? As hip and young? Or mature and sophisticated? There is a lot of science in creating your brand’s visual identity. In fact, some brands hire entire agencies for their brand identity which is why you should take this seriously. Your brand’s visual identity is important for creating brand recognition. This includes all of your fonts, colors and logos and everything that is instantly noticeable about it. A lot of brands have incorporated strong visual identities by repeating colors, posting similar captions, using the same hashtags and being unique in their own way. Believe it or not, a signature filter for your brand can help you achieve maximum brand consistency and ensure that every photo you post perfectly aligns with the rest. By finding the right filter and sticking with it, you can also be iconic and instantly noticeable. With the right filter, it won’t matter what color your photos are based on. The best ways to choose a filter, though, is to try and think about the feelings that you want to evoke to your followers and potential followers – whether that includes classic, vintage, bright, airy, dark or provoking motives. However, this doesn’t mean that you have to stick with a single filter in the future. Obviously, you can test and try but always stay in line with your brand identity, the colors you use the most and your content. They say that if you give a follower of yours value with some or any of your posts – there will be no reason for them to not come back to you. It’s true that everyone wants to be inspired, taught and educated. On Instagram, those feelings are even bigger. Luckily, brands can adopt them in the most unique way. As simple as that. For example, if you are a brand selling eyewear, you can create a photo collage that features multiple images teaching your followers on how to properly add their eyewear. Similarly, if you sell sportswear, you can show what makes it special and how different it is from other brands. Basically, you need to do everything that is in your power to be creative with your photos and spark more attention. You can use text, numbers and even your logo to your customized collages or videos with instructions. Video is nowadays an integral part of visual marketing and something that everyone loves to engage with. According to some stats, more than 85% of people are more likely to buy a product or service if they are engaged by a video. The best thing about videos on Instagram is their shareability. By 2019, some experts predict that all Internet traffic will be comprised of videos. So, it is definitely about time to add some videos to your mix – preferably the ones that are related to your brand. For the best results, you should know that users mostly appreciate videos that are short, punchy and featuring some nice background music. One of the best ways to show that you care about your customers, followers and loyal brand ambassadors is to re-share the content they posted (obviously, with your brand in it). Nothing does a better job nowadays than user-generated content. In its essence, user-generated content is great for two reasons: 1) to turn your Instagram feed from a brochure-like album to an organic and authentic story and 2) to transform your audience into a brand-driven community. Plus, people love it because it sparks attention and gives them the real image of your products or services – worn or used by normal people. Nowadays, many fitness fans are showing photos of their trainees’ transformations, and many clothing brands are re-sharing the posts submitted from their loyal ‘wearers’. You can do the same and tell real and personal stories about your brand journey. Instagram Stories are a great way to give your fans a behind-the-scenes look at anything that is ‘cooking’ in your office – or any novelty for your brand. They are perfect if you want to give your fans a look at how you run your business, what’s happening behind the curtains and what makes your brand special. All of these things will make your brand look more familiar in the eyes of your followers – and give you the opportunity to spark instant attention. You can even use screenshots from new blog posts, social media posts or anything relevant to your brand. Instagram Live is a feature where you go live with your camera and mic – and expect more and more people to tune in to what you have to say. However, it is also a feature that users take for granted. With this, we mean that Instagram Live is only reserved for interesting stuff. And if you don’t go live with anything that is interesting, you may lose the fans you are trying to get. So, the next time you have some big news, a new product/service announcement or a live coverage at an event (recommended), just tap the ‘live’ button and start recording! Want to direct your fans to a specific page or website? There is nothing better than the ‘Swipe Up’ option when doing that. All you need is a convincing Instagram Story with a sign to swipe up so that your fans can be redirected to a new page. These ‘swipe-ups’ work well for just anything – whether you want to promote a product or service or lead your fans to a new blog post you wrote. They can also answer questions (which you can ask in your story). Instagram influencers are a great way to promote your brand in the open. They have the following and can be the perfect ambassadors of your brand. For starters, we personally recommend you to opt out to micro-influencers (with up to 50k followers) who have strong communities around their personal brands and are able to influence their audiences to follow, like and buy from your brand. So, how do you find hot influencers in your area with similar target audiences to yours? One way is to do a simple hashtag search in your niche and see who is the most followed in that field – and another is to use some of the best platforms for finding influencers online. With influencer marketing, you can widen up your engagement and reach all while growing your traffic, conversions and product sales. Spending some time commenting on the comments you received or posts within your community can also give you some good brand authority. You can schedule a couple of hours per week only for this – or even join an Instagram pod that can help you build a following faster than doing it alone. Whatever you do, make sure to foster relationships with your fans and be as helpful as possible. Sometimes, including a bit of wit can help you make a great first impression. Last but not the least is the tip that many will forget. Instagram is more than social network nowadays. It is a community where it’s easy to stay behind. That being said, you need to post regularly – even if it takes more time than you actually plan. According to some research, posting at least three times per week is a great idea. However, if you are serious about your brand on Instagram, you should post daily. So, What Does The Perfect Post On Instagram Look Like? If you are hunting for more followers, likes and conversions, you should know that there is no recipe to the perfect Instagram post. While some things may work for some profiles, other things may work for others. The only thing you can dedicate to is testing and trying until you see how your audience responds. Image – You need a great image that is sharp, well-composed and nicely styled. It goes without saying that it needs to be consistent with your brand, effective in terms of its content and directly speaking to the audience. Location – Even if it’s your business location, tagging your location on an Instagram post can boost your engagement dramatically. Plus, your content can be found by location, which is nice to have too. Caption – Most of the times, the best images are driven by effective and provoking captions. So, make sure to think about the best way to use those (first) 150 characters and always ask questions to trigger engagement. Call To Action (CTA) – Last but not the least is the call to action as the most important element in a post. Whether the goal is more likes, more followings or simply a redirect to a page on your website, you must do your best to create the easiest way for your fans to convert. In the end, Instagram is one of the networks that never sleeps. There are so many features, users and posts out there that are making every second of feed-digesting interesting. We hope that this twelve-step strategy will help you build a unique brand on Instagram and help you build a momentum with your target audience. And if you ever feel discouraged or lost in the process – remember – you can always hire a professional.